Low Stress Design: Single pass construction eliminates differential expansion forces across heads, permitting design return temperatures as low as 70°F and immediate “cold starting” response to all call for heat. Boilers are warranted for five years against thermal stress leaks regardless of return temperature. Consult L.E.S. 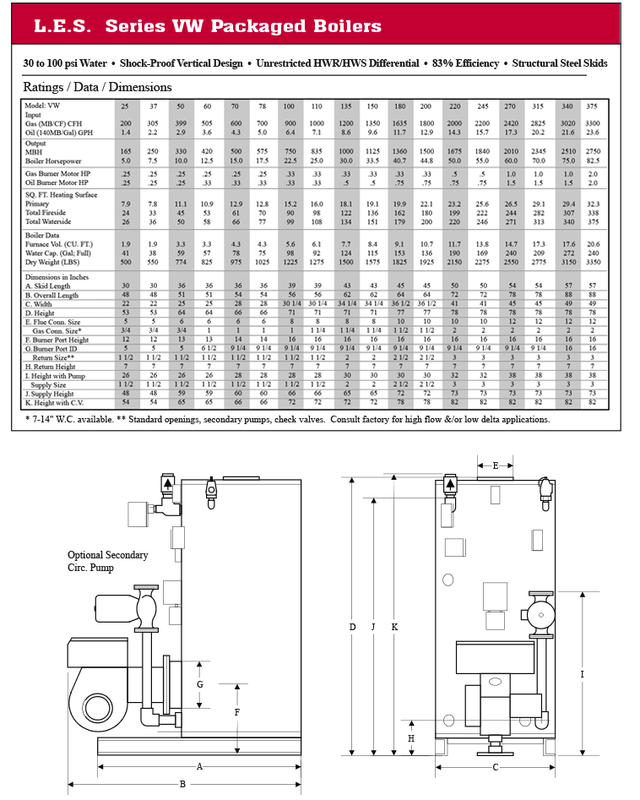 for boiler configuration/control options required for direct very low temperature operation. High Efficiency: Series VW boilers are positive pressure non-condensing appliances. They are equipped with forced-draft burners for reliable 83% efficient combustion. High-temperature fiberglass rope is used to gasket burner flanges to burner ports and steel lids to flue-gathering chambers. 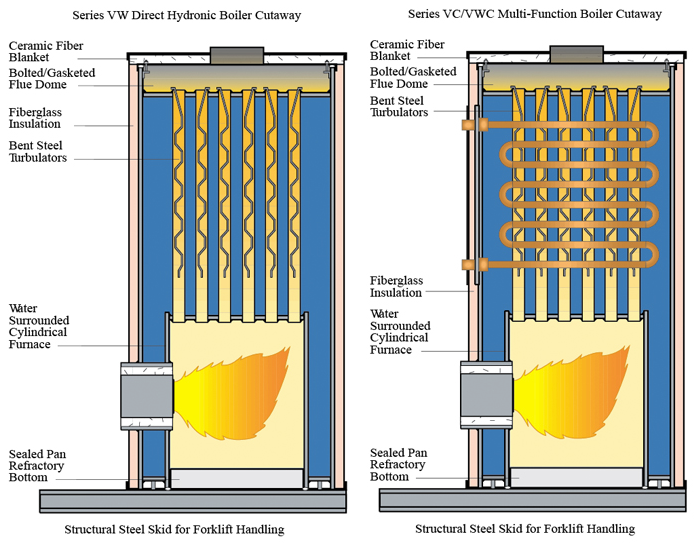 Custom-fabricated bent steel turbulators installed in fire-tubes limit flue gas velocity, insuring maximum heat transfer. Heat losses associated with draft hoods and barometric dampers are eliminated and breeching/stack sizes can be reduced. Steel Skids: Structural channel skids create a space (3″ minimum) beneath boiler shells which may permit elimination of a poured concrete pad. Boilers can be rolled into place on steel pipes, levered into precise position, and easily/securely leveled by shimming of skids.